A free participatory event at Powis Square, W11. 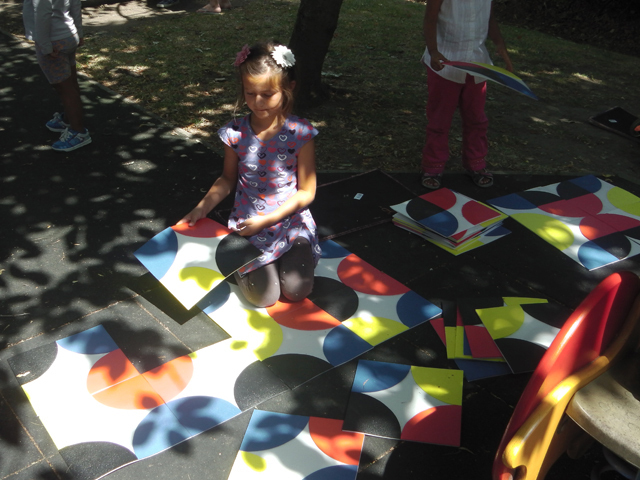 Families used large, colourful tactile tiles to play our selection of art games and puzzles. 1 older persons group and run as a family activity during the exhibition. 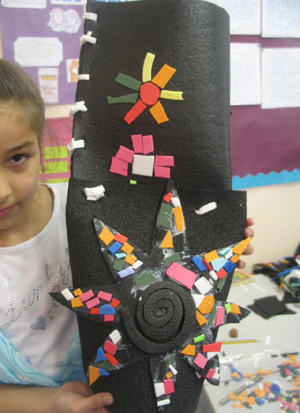 This project took place in 6 Waltham Forest primary schools with years 4 and 5 children. as works of art and as wearable sculpture for a special event. 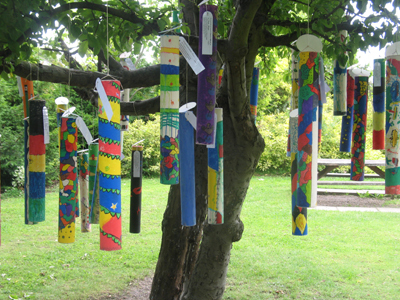 Other unique and imaginative designs made by the children can be seen in this gallery. 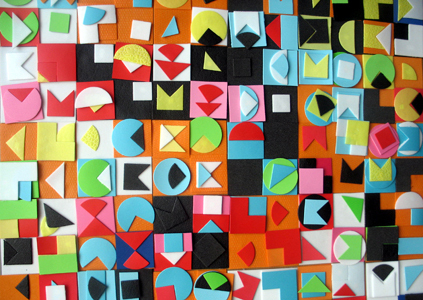 children's centres, galleries, schools and libraries. in years 1 and 2 at Selwyn Primary School in Newham.